Nerite snails are one of the best options when trying to keep your tank clean, whether it’s freshwater or saltwater. They spend most of their time moving around the tank, consuming any algae in their path. Snails are ideal for beginner, as they are likely to make a few mistakes. 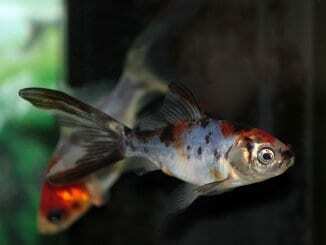 They are very easy to care for and have few demands once you’ve added them to your tank. They are also easy to breed so your snail population can quickly multiply. At less than an inch long they won’t worry anyone who’s space conscious and they can be kept in smaller tanks. In this guide we will tell you everything you need to know about nerite snails, including the different varieties, their diet, and an ideal tank setup. What do Nerite Snails Eat? Are Nerite Snails Suitable for your Aquarium (Summary)? These snails are from the Neritidae family, which contains over 200 species. Most of these species are from brackish, seashore waters, but a few live in rivers and streams. This means that some can be used in freshwater tanks and others in saltwater setups. Those used in freshwater tanks originated from brackish waters in Eastern Africa, so they would normally live in a mixture of salty seawater and fresh river water. 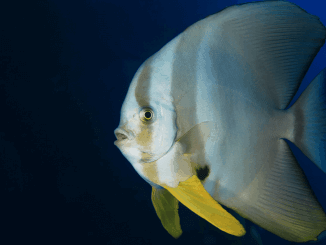 Saltwater species tend to be from the Pacific or Caribbean coast. Many of these snails have adapted to live in freshwater so make perfect tankmates for your freshwater aquarium; they should live for 1-2 years and grow up to an inch. The main reason that people add these snails to their tank is because they’re one of the best algae eaters around. This helps to keep tanks clean, as long as they aren’t overstocked. Snails aren’t very active, but they’re peaceful creatures and shouldn’t cause any problems for the rest of your fish. They can become easy prey though, so they’re not suitable for a tank full of large, aggressive fish that might want a snack. Snails are sold in lots of pet stores, and as one of the most popular species, nerites will be easy to find. They’re affordable too, with one snail costing around $4, but you can usually get them even cheaper if you buy a few at a time. Some species might cost a little more because they’re harder to breed in captivity (such as horned nerites). Snails aren’t very active, but they’re peaceful creatures and shouldn’t cause any problems for the rest of your fish. They’ll slowly move around consuming the algae in your tank. They won’t bother any of your fish. You might sometimes notice your snail appears to have fallen over, their muscle foot is very flexible and they can usually flip themselves back over. You might want to give them a helping hand if they can’t! Snails also need sleep, just like we do, but their sleep happens in 2-3 day cycles rather than the 24 hour cycle we follow. So, how long does a snail sleep for? They are thought to have around seven bursts of sleep over a 13-15 hour period and they then are able to have around 30 hours of activity. A snail’s anatomy includes a hard, coiled shell on top of a muscular “foot” which moves side to side to push the snail forwards. They also have four sensitive tentacles. Nerite snails will grow up to 1 inch if kept healthy. Different species have different colors and markings, but they share the same basic shape and structure. Zebra nerite snails have stripes across their shells that point towards the center of the coil. The stripes are usually black and yellow in color, but the shade can vary. Tiger nerite snails are similar to the zebras, except they’re a much more intense orange. The stripes are a lot more jagged too which gives each snail a slightly different look. 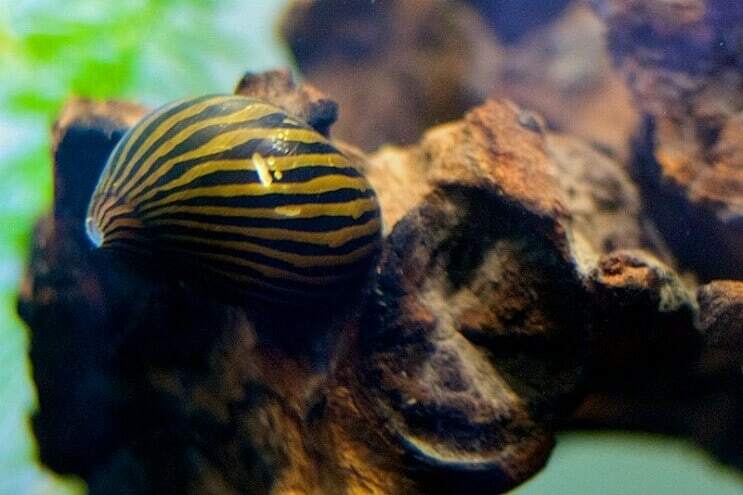 Olive nerite snails are commonly kept in aquariums. Their name gives away their color, but most of them don’t have a pattern on their shell. The black line of the coil stands out against the olive color and produces a simple but attractive look. Horned nerite snails are a little different to the last three. They have thick black and yellow stripes, but along one stripe is a series of dark “horns”. They’re mostly found in coastal habitats such as mangroves and estuaries which have plenty of rocks and other surfaces which algae grow on; if these can be replicated in your tank then they’ll thrive. 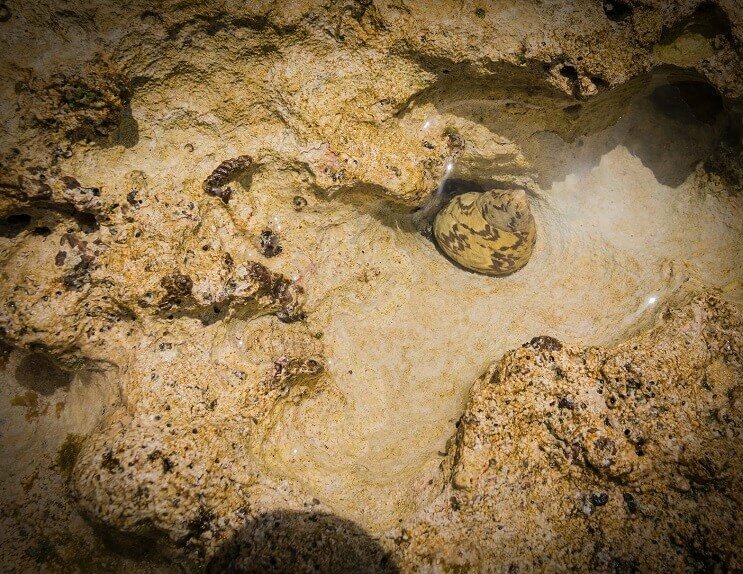 Saltwater setups will need hiding spots, these can be made using live rock. Live rocks let your snails take advantage of the algae that grows on its surfaces. A snail has four tentacles which are very sensitive. A fine-grained, sandy substrate reduces the risk of scratching. Calcium substrate is best because it means that the snails always have a good supply of calcium, which is needed for a strong shell. The water parameters are the same for both saltwater and freshwater snails, they prefer a high pH of 8.1-8.4 and a temperature of 72-78°F. Saltwater tanks should be kept to a salinity of 1.020-1.028sg. A small amount of true freshwater species live in habitats such as forest and mountain streams. As we mentioned before, some marine and brackish snails have also adapted to live in freshwater. Fresh and saltwater tanks have very similar setups. Rocks and driftwood are ideal for freshwater tanks. Make sure to provide plenty of caves to act as hiding spots, even though most of their time will be spent out and about. Similarly to saltwater setups, your freshwater tank should also have a fine-grained sanded substrate. Plants aren’t crucial but they’re an easy way to make a tank look natural and colorful. The snails won’t eat them either, so you can use slower growing species (such as java fern). The water level of coastal habitats changes with the tide, so the snails aren’t fully submerged all the time in the wild. At night, nerites have been known to climb above the surface of the water. Lowering your water level by an inch or two gives them some room to get out of the water briefly. On the subject of climbing, snails are very good at it. It’s worth investing in a tight-fitting lid for your tank if you don’t have one already. Before adding snails, you need to make sure that the water parameters are suitable. They prefer a high pH of 8.1-8.4 and a temperature of 72-78°F. The water needs to be free from ammonia and nitrites, nitrates should be less than 20mg/L. You shouldn’t need any special equipment to maintain these conditions, you just need a suitable filter and heater. It’s best to start with just a few snails and regularly checking for any effects on the rest of the tank. One or two snails would be suitable when setting up a 10 gallon tank. The amount of snails you can have in your aquarium completely depends on how many fish you’re going to keep them with. As a rough indication you can include around 1 snail per 5 gallons. 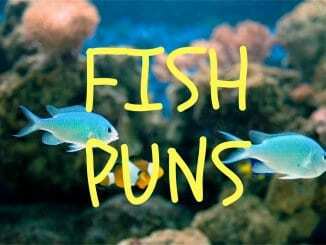 They can be kept in any aquariums larger than 5 gallons. The main criteria for tank mates are that they must be small and peaceful, beyond that you can keep these snails with most fish. Generally, this means steering away from cichlid tanks and more towards tetras, guppies and barbs. They fit in well with peaceful communities, but this doesn’t just mean fish. You can keep them with shrimp (such as the ghost shrimp) and even other nerite species. Keeping them with a mixture of fish and shrimp is particularly rewarding because you get to see so many different behaviors and every area of the tank has a point of interest. Different nerites can be kept together without any problems, even the more intimidating horned species is peaceful. 1 or 2 snails in a 10 gallon tank will avoid overstocking. You can add 1 snail per 5 gallons of water. This isn’t a strict ratio, but if you add too many in a small space they won’t have enough algae to eat. Snails need to compensate for being slow by scavenging vegetation with their sensory tentacles and radula – a structure used to scrape food. They primarily feed on algae that forms on the surfaces in your tank. If you stock your tank correctly, they should be able to live off the algae. If alga isn’t forming fast enough then you should add in other foods. Algae wafers make good substitutes, especially since they sit on the bottom of the tank until a snail comes across them. Another option is to add green vegetables from your kitchen to the tank. Spinach and lettuce make cheap alternatives to store-bought foods and keep a snail’s diet interesting. Homemade recipes work too. Remember that wafers and vegetables are only needed if there’s not enough algae in your tank. If you’re having to scrape algae off the glass every now and then, the snails should be fine without being fed. You need to be careful how much you feed your snails, overfeeding and underfeeding each have different effects on an aquatic snail’s health (more on this later). Nerites aren’t fussy when it comes to food. They’re very easy to cater for and they won’t eat your plants which is an added bonus. Just like all living things, snails can experience a variety of health problems. Some are easy to avoid through proper care, others are harder to control. A snail’s shell is a common cause for concern. Sometimes the shell’s growth can become stunted. This shouldn’t be a problem if they’re in a healthy environment since the two main causes for stunted growth are a low temperature and not eating enough. Over-eating can also be a problem for a snail’s shell. 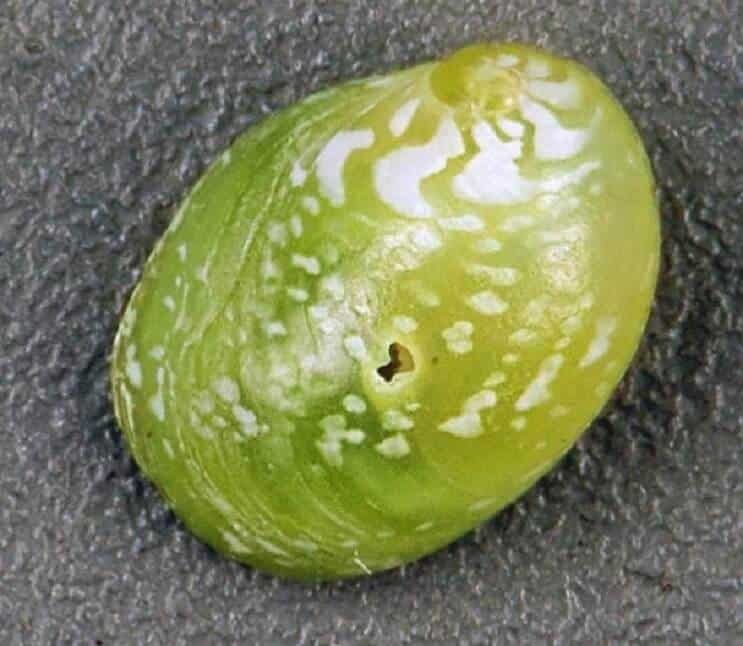 This will usually discolor it because the extra energy from the food causes the shell to grow at a faster rate. In the wild, nerite snails have dark shells because there isn’t much food. The shell stays dark as it’s growing so slowly. Snails need calcium to keep their shells strong, so a lack of calcium can cause the shell to weaken and crack. If you notice this then try adding calcium supplements, such as calcium sulfate, or use a calcium substrate. You also need to look out for white spots on shells, as these are usually parasites that have latched on. It’s harder to tell if your snails are being affected by an internal parasite, but both forms can be fatal depending on the species of parasite. Older snails are more likely to get a disease called “oedema”. The snail’s body will swell and fill up with fluid, making it harder for the snail to move. Finally, you need to remember that copper is toxic to most invertebrates so keep the water in your tank free from it. Watch out for medications that contain copper, even a slight trace can be fatal. 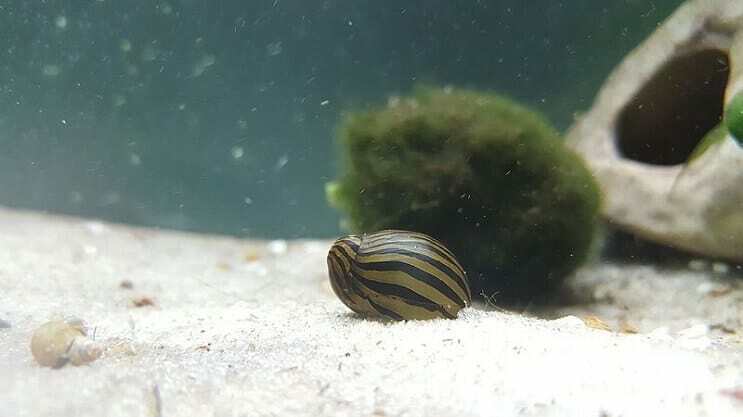 One reason why these snails are so popular for freshwater aquariums is because fish stores often tell people they won’t breed in freshwater tanks. This is not necessarily true. They will breed and lay eggs, but the larvae don’t usually survive in freshwater. You can either let your snails reproduce in freshwater and move the eggs , or just start the process with snails that are already acclimatized to living in saltwater. 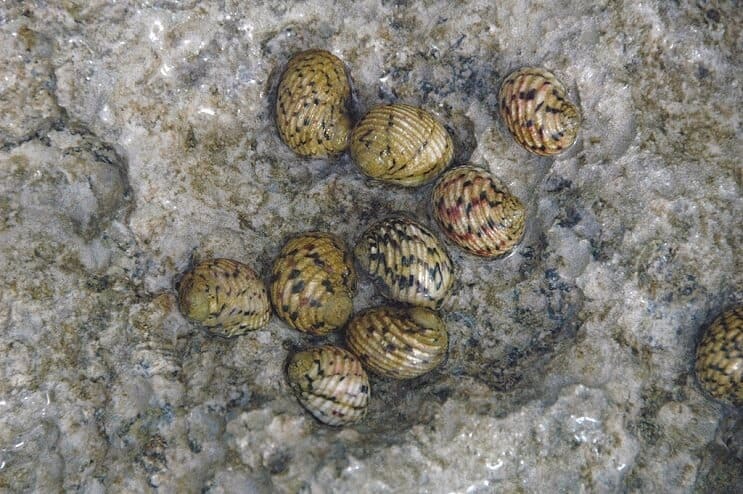 Most snails reproduce asexually, but nerite snails are an exception. The female will produce eggs for the male to fertilize, like fish. The eggs will then be spread throughout the tank and develop into larvae over a couple of weeks. Once hatched, the young are very small, to the point where they might get sucked into the filter inlet. A sponge filter would make this virtually impossible. If breeding snails is your aim, moving them to a brackish water setup will give you the best chance of success (this is their natural habitat). If you are moving the snails from a freshwater setup you should gradually acclimate them first; there are many ways to do this. One way is to remove the snails with some of their old tank water, then slowly add water from the new environment over the next couple of hours until the water level has tripled. An ideal breeding tank will contain as many snails as possible with a fairly even ratio of males to females. The size of the group depends on the size of the tank you have, but a small group of five should be fine. They will start to breed once they’re comfortable in the tank. Nerite snails can be kept by people of all fishkeeping abilities because they’re so easy to care for. The main things to consider before buying some are whether your tank is a peaceful community aquarium, and whether the water parameters are in a suitable range. They can be kept with other freshwater fish but will become prey if these fish are big and aggressive. If you can, it’s worth trying nerites at some point. They’ll keep algae levels down while providing a completely different look compared to any fish swimming around them. All this with such little effort. It’s hard to find a reason not to add them to your tank. I originally bought only three or four snails to keep my 55 gallon fresh water aquarium clean. My one concern is the snails seem to reproduce rather rapidly. I’m wondering if this is normal. Is this a controllable thing. Will the snail population get out of hand? Anyone have some advice? Hi. I’m pretty sure my horned nerites have parasites. How can I cure them? I’ve had a tiger nerite snail for a good couple of months now. However, its foot is a little detached from the inside of the shell and it’s not moving. I can’t tell if it’s dead (because it doesn’t smell) or if it’s just sleeping. Any advice? We have baby snails in a freshwater tank that came from ONE Zebra snail that has been in our tank for 2-3 months. How is that possible??? Do snails need to be quarantined before you put them in your aquarium, like fish? Also, I have gravel in my tank. Will they be ok on that? So we have a small fish tank for my son that is home to 2 blue mystery snails, 1 golden mystery snail, 1 nerite snail and around 7 fish. And I am pretty sure our nerite snail mated with the blue mystery snails and now we have a few babies. While snail watching a few weeks ago I noticed a new addition to the tank, a barely visible baby snail with a dark shell similar to the nerite. There have been other babies but all have been blue or clear looking like the mystery snails. Now the only ones I have seen laying eggs are the Blues. We have had our tank for a few months and not added anything recently, so there is no way the baby snail could have hitchhiked its way in. The baby is now about the size of a pinky nail and until recently had been the only one with a dark shell but yesterday we noticed a new tiny barely visible dark shelled baby snail riding one of the adults.